The Resilient Christian : What is the Will Of God? We will be airing today with our host “Brother James Foxx” on his show “The Defender”. 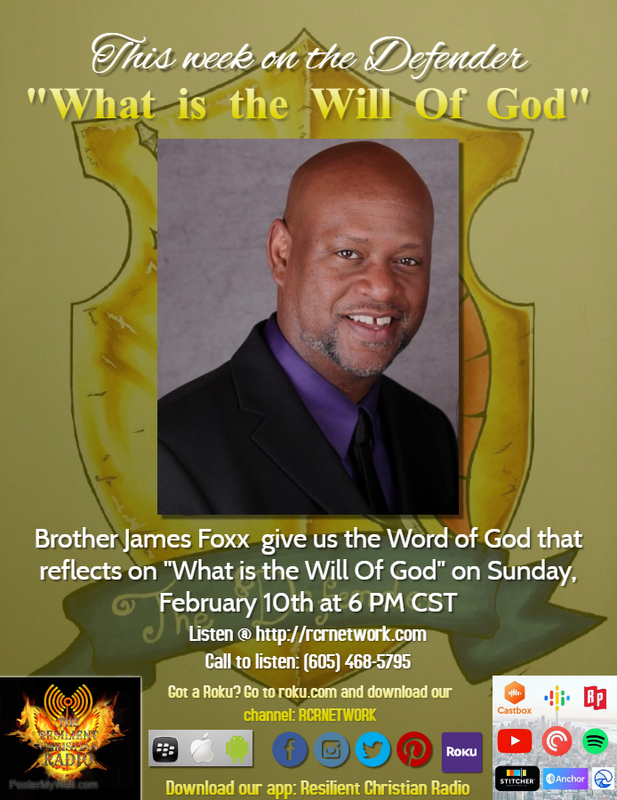 The topic for this week will be “What is the Will Of God?”. God's will can refer to His perfect plan known since the beginning of time, God's teachings for all people, God's specific desires for a community of people, or God's unique plan for our individual lives. God knows all that will take place, has commanded us to follow certain teachings and leads and guides both individuals and communities of believers toward certain actions that bring glory to His name.